Some games are harder than others, but one particular genre – the multiplayer online battle arena (or MOBA for short) – is notorious for its punishing difficulty curve. Memorizing the skills and abilities of tens of characters, as well as the functions of hundreds of spells, items and other mechanics is no easy task. So it's probably not surprising to learn that researchers have found a correlation between people who perform well at MOBAs like League of Legends and Dota 2, and people who perform well in intelligence tests. A team from York University's departments of Psychology and Computer Science performed an experiment where people who were highly experienced with League of Legends were asked to complete a standard pen-and-paper intelligence test. They found a correlation between performance in the game and performance in the tests. Then, in a second study, they analysed data from two MOBA games: League of Legends and Dota 2, as well as two first person shooters: Destiny and Battlefield 3. Here, they found that in groups of thousands of players, performance in MOBAs and IQ tests behave in similar ways as players get older. But interestingly, the same effect wasn't found for first-person shooter games. In these, performance declined after the player's teenage years, even while their scores on IQ tests remained high. "Unlike First Person Shooter (FPS) games where speed and target accuracy are a priority, Multiplayer Online Battle Arenas rely more on memory and the ability to make strategic decisions taking into account multiple factors," said Athanasios Kokkinakis, a PhD student with the EPSRC Centre for Intelligent Games and Game Intelligence at the University of York and lead author of a paper describing the discoveries, published in PLOS ONE. 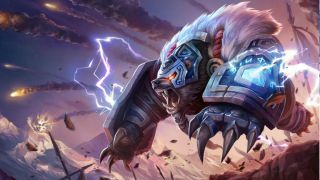 Alex Wade of the University of York’s Department of Psychology and Digital Creativity Labs added: “Games such as League of Legends and DOTA 2 are complex, socially-interactive and intellectually demanding. Our research would suggest that your performance in these games can be a measure of intelligence." "Research in the past has pointed to the fact that people who are good at strategy games such as chess tend to score highly at IQ tests. Our research has extended this to games that millions of people across the planet play every day."